The GROHE Allure single-lever basin mixer – elegance and premium performance! Cutting edge technology and beautiful modern tap design! With a sleek look based on the rectangle and circle, the wall-mounted GROHE Allure single-lever basin mixer looks perfect in any contemporary bathroom. The projection of the spout is 172mm and it is packed with GROHE’s innovative technology, including a minimum water flow limiter (8 l/m) that saves water and energy bills without compromising performance. The tap’s sparkling GROHE StarLight chrome coating is scratch-resistant and needs only a wipe with a dry cloth to look as good as new. Use with a GROHE concealed body (33769000), which has a ceramic GROHE SilkMove cartridge for the smooth and effortless control of water volume and temperature. 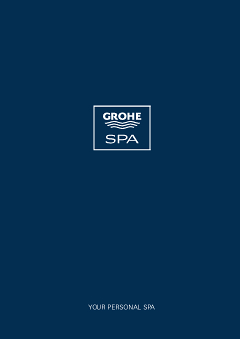 GROHE Allure – where luxurious bathroom comfort meets functional perfection.